First of all, when you choose to spray Bullet Liner on your truck, your investment is not only safe but tested in very extreme conditions. As a result, Bullet Liner has been used and tested on race and chase vehicles in the prestigious Baja 1000 and in subzero conditions only found in the wilderness of Alaska. -Protect critical components on vehicles to survive impacts from rocks, debris and extreme use only found in these types of terrains. –Bullet Liner’s high tensile strength material provides a superior layer of protection our competitors cannot match. -We pride ourselves on using higher quality raw materials to produce a fine grain texture that does not “clump” or “sag” on vertical surface. Most of all, Bullet Liner looks as if it came pre-installed from the vehicle manufacturer. 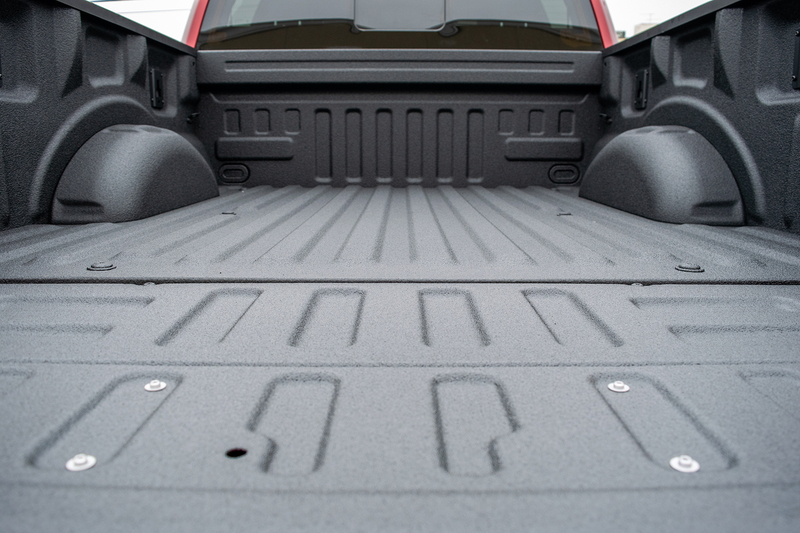 -In conclusion, our coatings provide a permanent bond that conforms to every contour of your truck bed. Therefore, this bond creates a barrier from moisture, rust and corrosion for the lifetime of your vehicle. Bullet Liner is resistant to most chemicals making it a superior material for use in industrial applications.